"Provide the Greater Cincinnati community, especially young people, the opportunity to experience, study and enjoy the natural world. Encourage understanding, appreciation, and responsible stewardship of the environment through education. 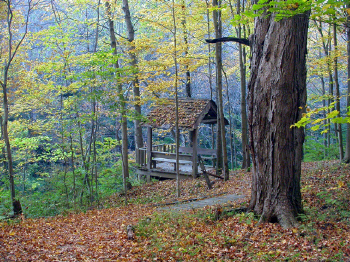 Preserve the heritage and integrity of Cincinnati Nature Center natural and agricultural lands." Stanley M. Rowe Sr., Karl H. Maslowski, Kay Benedict, Helen Black, Katherine T. Nyce, William J. Whittaker, Jim and Jeanne Anderson. As well as the other founders of the Cincinnati Nature Center. Also to the old workers and people who live in and around Rowe Woods, Cincinnati Nature Center. This website is not affiliated with the Cincinnati Nature Center.